As work on the £1bn new St James complex in Edinburgh gathers pace, we peel back the layers of time to lift the lid on the area as it looked before the high street retailers and global shopping brands moved in, when it was still among the most densely-populated urban areas in all of Scotland. Hundreds of families would be displaced when streets laced with ageing and often dilapidated tenements crashed to the ground under the weight of the wrecking ball to make way for a bus station (1956), followed by the St James Centre (1973) and the Omni Centre (2001), over the course of four decades. Here is a snapshot of what we lost to progress. 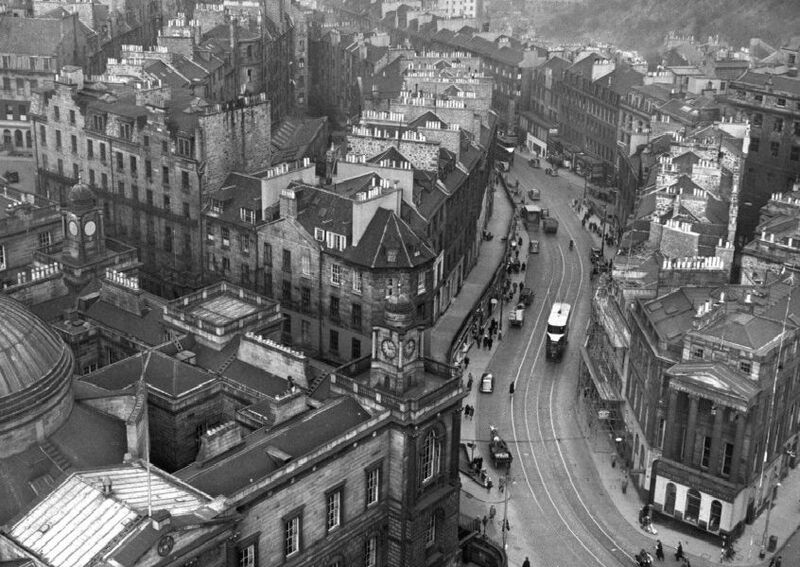 This charming 1950s view of Leith Street shows that trams once came up here. Picture shows (left hand side) the Top Deck restaurant, John Collier menswear and Timpson's shoe shop. 'Local couple Alexander and Margaret Waugh recognised themselves to the right of the picture when it was published as part of the Living Memories series in the Evening News. Leith Street was on the route for the annual Miners Gala Day march. We can see crowds of people watching on either side, including up on Leith Street Terrace. Fairley's and the Top Storey were two of the most popular dancehalls in the vicinity.